Who could forget the infamous 1945 Grand Final, aptly nicknamed 'The Blood Bath', which saw Carlton battle South Melbourne in the bloodiest and toughest Grand Final of all time. The aftermath of the fighting - which lasted all day and saw numerous players knocked out - resulted in suspension for 10 players from both teams, with Carlton claiming victory by 28 points. Or how about 1970, which saw Carlton come back from 44 points down at halftime to beat arch rivals Collingwood in perhaps the most euphoric Grand Final victory of all time. The Blues have a seemingly endless list of memorable Grand Final moments - Official Memorabilia are giving you the chance to relive them all. 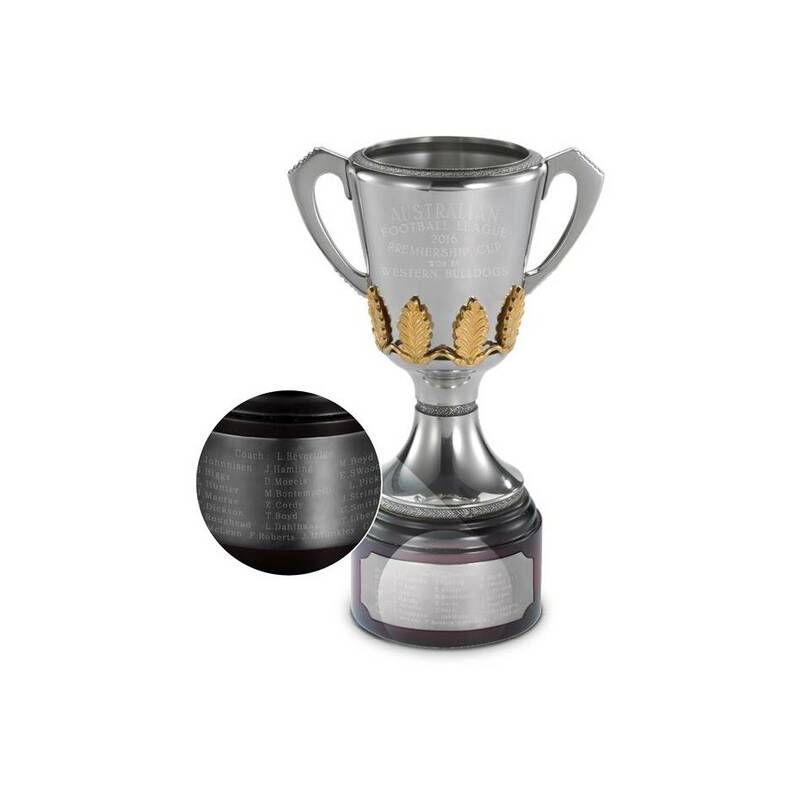 Commemorate Carlton's Premiership triumphs with a collectable pewter replica of unrivalled heritage and splendour. Each handcrafted Cup is composed predominantly of refined tin, with small proportions of antimony and copper added for strength and durability.